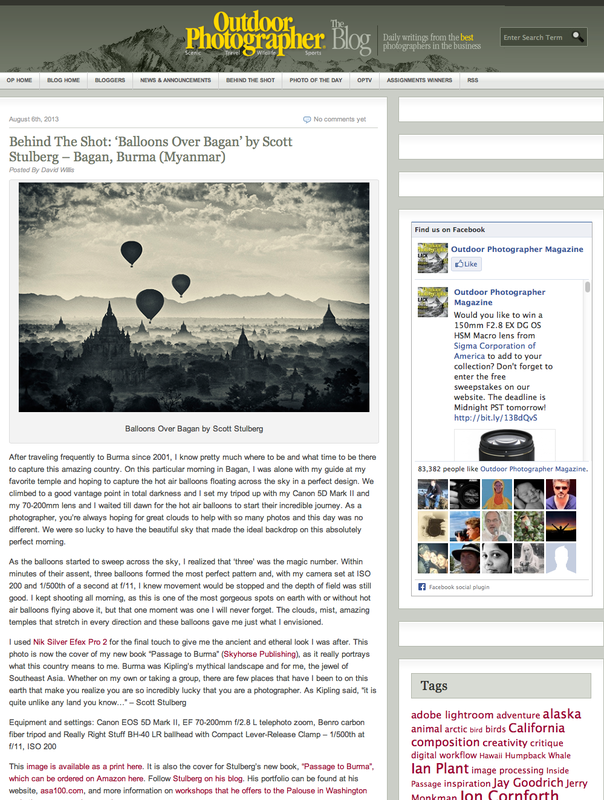 Was happy to have been asked by Outdoor Photographer magazine to use my image from the cover of my new book Passage to Burma in their blog for “Behind the shot” and talk about how I captured the image. 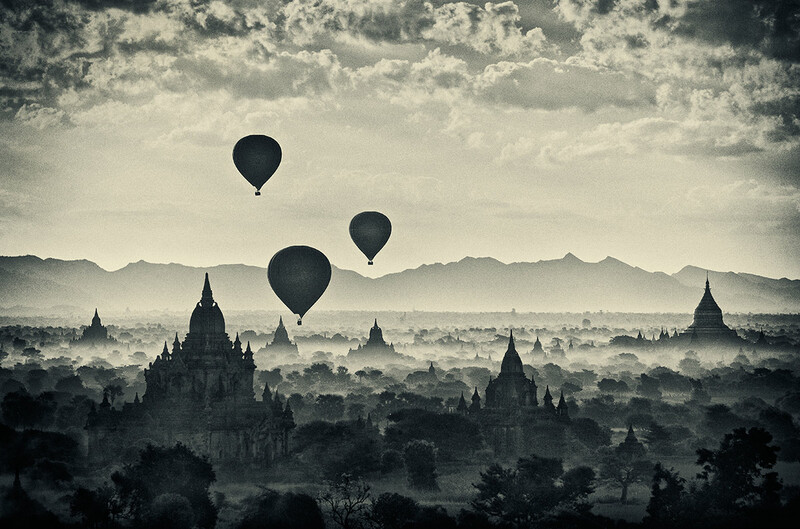 OP is one of my favorite magazines and it was fun remembering how I captured the image with the balloons skimming along above the temples in Bagan that day. Anytime I can talk about my favorite country I love to and it’s great to have Outdoor Photo have it on their on their blog! A lot to be said for getting up long before sunrise…. The early bird gets the balloons! !